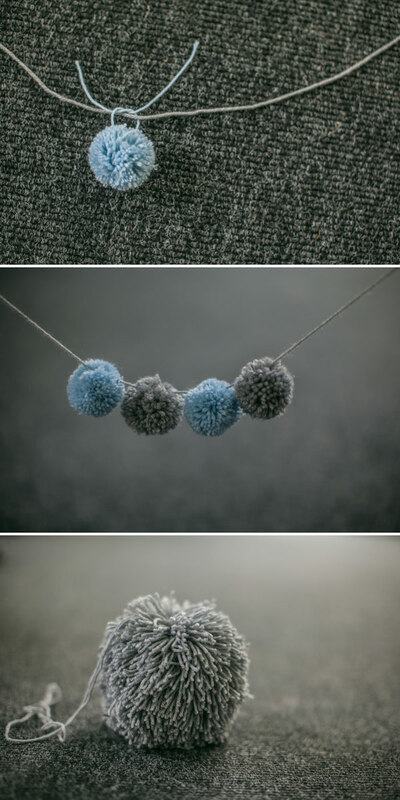 Mini Pom Poms – The How To. 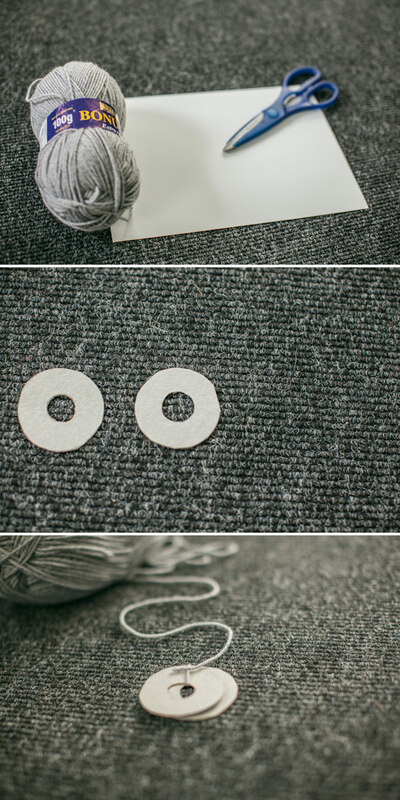 A simple DIY tutorial for you all that might give you some warm fuzzy memories of childhood – I know I’d spend rainy weekends making these as a kid. 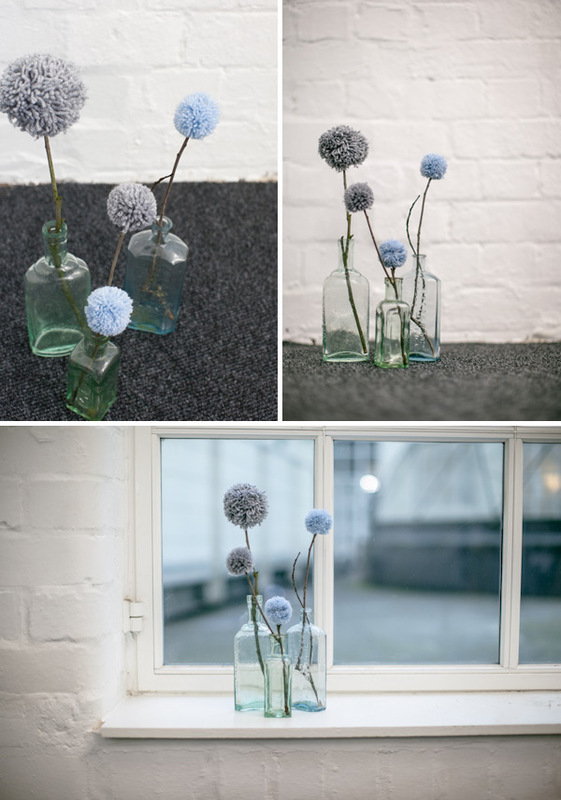 The pom pom is a very versatile creature and very simple to make, you can use them for a cake topper or even displayed in vases….we have at RM HQ! All you need to do is follow these few simple steps. Wool (essential), card cut into polo mint like circles (you can get templates for your card circles HERE), scissors and/or craft knife. The first step is to cut your card into circles with a hole in the middle. (Top Tip: the smaller your hole in comparison to the total circle diameter, the longer your pom pom strands will be so think about how dense you want your pom pom to appear). 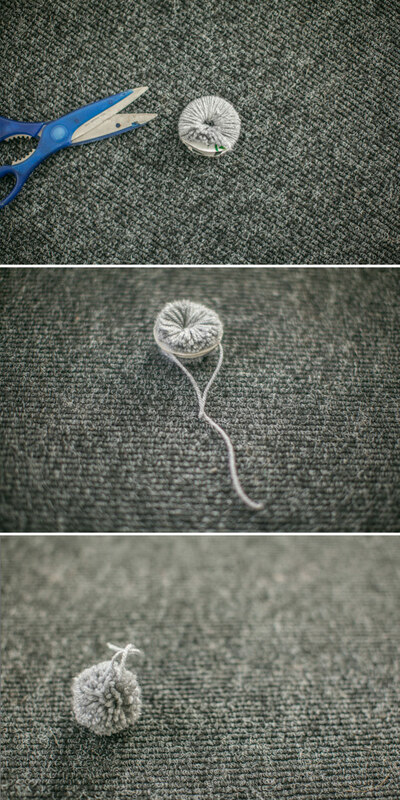 Cut yourself a length of wool and with one end tie the two pieces of card together. Then all you need to do is start wrapping your card in wool. (Top Tip: Where you have a large pom pom, cut a few lengths of wool and wrap them at the same time…this will save you a lot of time). When you feel like your card is sufficiently wrapped (a good indicator of this is when your hole is at least 50% smaller than when you originally started) you need to start cutting around the edge of your wrapped card. It might take you a few snips to find the card again but keep at it. Take a length of wool, feed it between the 2 pieces of card, pull it tight and you will notice your pom pom starting to take shape. Tie it tightly as this will be what holds all your lengths of wool together. Now all that is left to do is to fluff you pom pom out, trim off any straggly bits and start using your imagination and find ways to use them in your big day. Why not get a bit adventurous and make multi coloured poms for your day, simply mix wools when you wrap it around the card. Cute! Thank you for this, will defo create some of these fuzzy creatures! Awwwwww I used to make these all the time when I was little! Had a whole pom-pom set and everything! Might have to re-kindle this love soon! 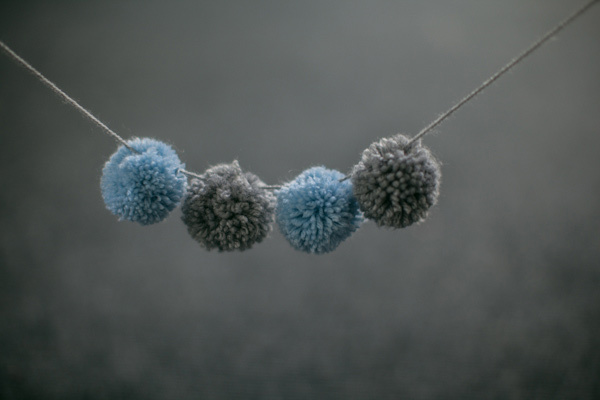 Finally – a grown up use for my pom poms making skills! Lost count of how many I made as a Brownie with felt feet and googly eyes! This is one I thing post I won’t be showing my wife! Although that said….it’s a great idea and I love the way you’ve used them. A great idea for winter weddings! When I came back from my honeymoon, a bunch of pom-pom branches was waiting for me on my desk in RMW HQ. Honestly folks, they brightened up my morning no end and to this day they still remain on my desk because I love them so. Our Becky is so talented! Oh Becky I LOVE your first DIY post!!! I think I need to make some Christmassy themed ones and put them on branches / festoon them about the living room. Ohhhh I was wanting to make some of these. Where would people say the best value for money to get the wool? Brilliant Becky, these are awesome and a great idea to top our confetti cake with 🙂 thank you! @Karen I love Alliums! I’ve planted loads in pots for next year! Becky… I’ve been looking for not-so-snowy Christmas decorations for decorating my ‘beachy’ tree in Upside Down Land. And you’ve just solved it you sumptuous piece of creative pretty you. Pom pom adorned Christmas tree it is folks.